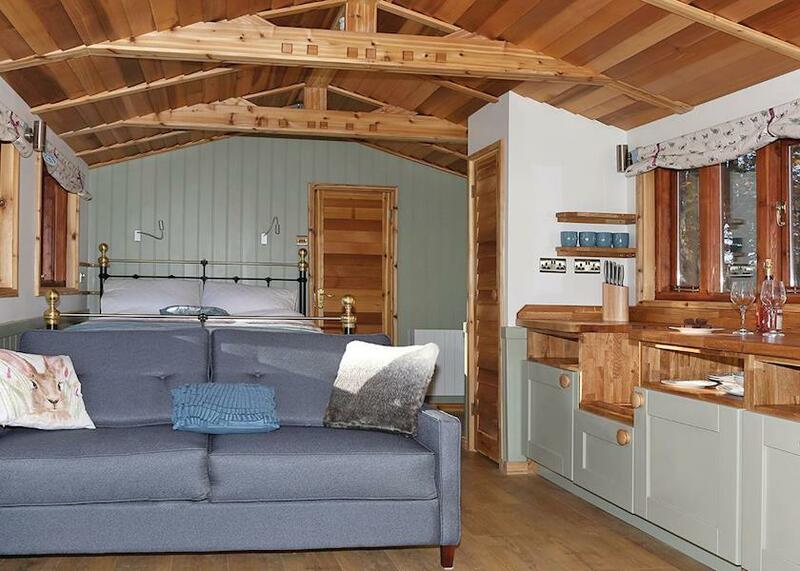 The Hideout House Company originally developed and pioneered the concept of a mini lodge for the commercial leisure, hospitality and holiday sectors as there was a distinct gap in the market for a product which filled the void between where a camping “pod” ended and a traditional 2 or 3 bedroom lodge started. They have also distinct advantages as well over traditional on-site builds – namely VAT is only 5% rather than the standard rate of 20% (so quite a saving to be made here), they do not require the involvement of building control (although they are built to building regulation standards) and they might be exempt from planning. 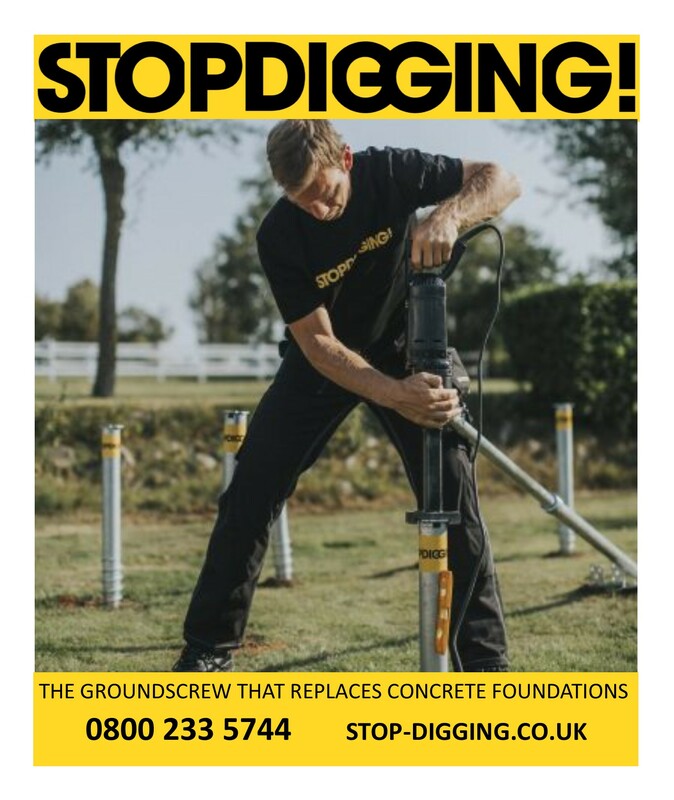 And as they are a pre-manufactured unit, on-site time is minimal and less disruptive – assuming a base is already down and services are running out to site, you could move in within a couple of days. 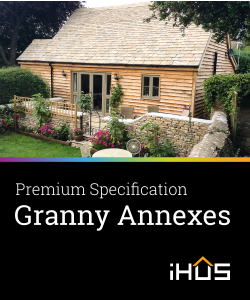 They’ve have found that its concept is also ideally suited for the residential market place where somebody is wanting to have a self contained granny annexe or garden annexe as ancillary accommodation to the main house. Where the requirement is for residential purposes, e.g. guest or family accommodation, then subject to certain restrictions (e.g. conservation areas), the answer is usually no. Mini lodges conform to the definition of a caravan and because of their relative “mobility”, they come on road transporters with their own delivery wheels. They are “capable of being moved” and are usually planner-friendly. Where they are used for commercial applications however, e.g. overnight accommodation for paying guests, then we recommend a planning application and/or opinion, but for the above reasons, experience shows that planning applications are very much more likely to succeed than traditional build. 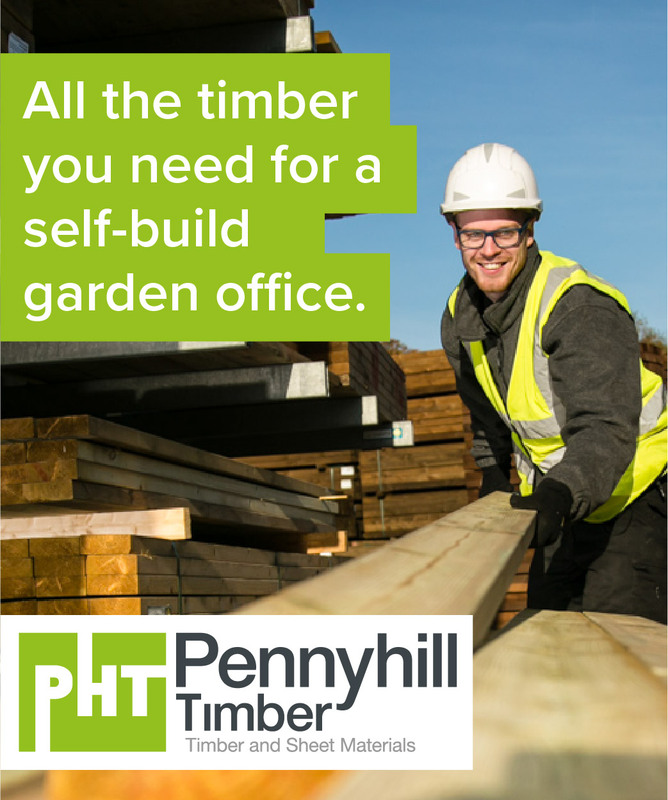 It is also possible to apply for a Certificate of Lawful Development from your local planning authority if the annexe is not being used for a commercial purpose but where there is a distinct relationship between the use of the annexe and the main house. Cranage and delivery systems are featured in many discussions. After manufacture, they are “hiab” loaded onto specialist transporters and delivered as close to site as possible. Increasingly The Hideout Company are asked as to whether they can be located in places where access is extremely difficult, and increasingly they’re finding the answer in tremendous growth in long reach cranes, capable of lifting our 4-7 tonne lodges over long distances and over great heights. A challenge, but there are ways! Where access is very difficult, we can also discuss with you about our scheme for factory component manufacture and assembly on site. 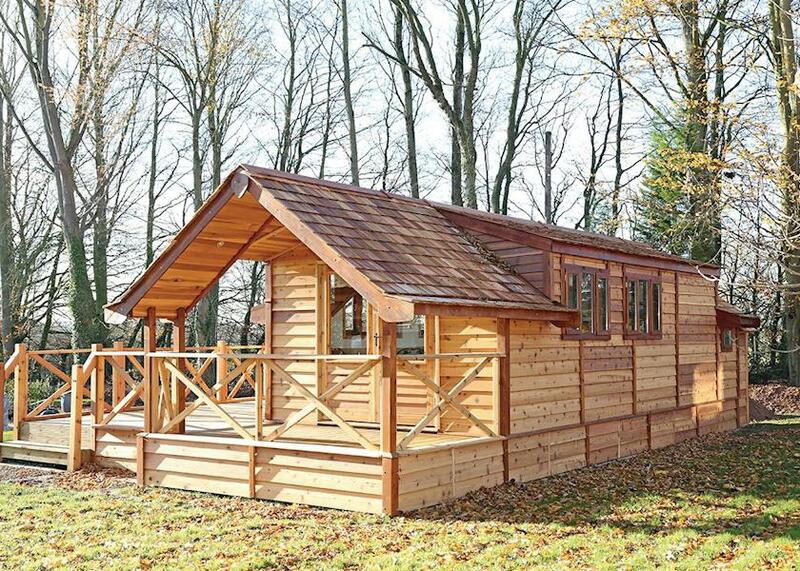 What are the standard sizes of the lodges? They always have a width of 3.5m external (3.3m internal) because of regulatory transportation issues on Britain’s roads but come in different lengths of 5m, 7m and 9m with options for a side balcony/veranda and roof overhang to the front. Internally they feature a bedroom, bathroom with WC, kitchenette and dining/living area. Cedar is the default external cladding with an attractive cedar shingle tile roof. Cedar is used because it has many advantages and benefits over other traditional timbers in that it requires very little on-going maintenance, has natural insulating properties, is decay resistant, has a very low shrinkage factor and leaves a very small environment footprint. 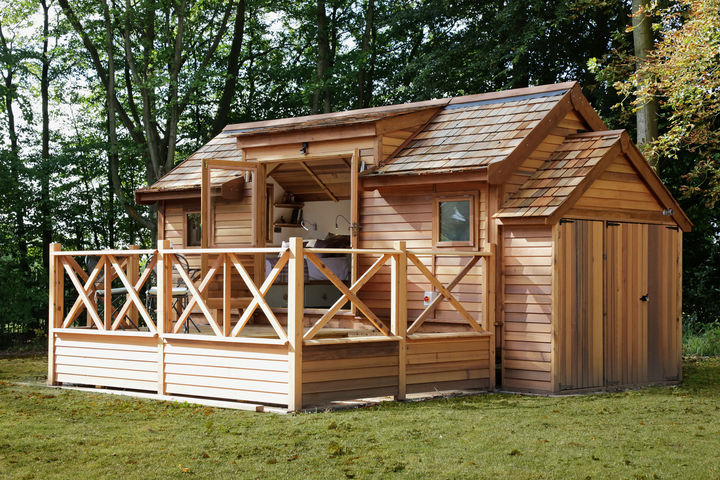 With all demographic trends pointing to inter-generational living – aged relatives wanting to be nearer their loved ones in older age and the millennials who cannot afford to get on the property ladder so have to live back under the family roof to save money but value their independence – the mini lodge could be the perfect solution to the garden and granny annexe dilemma.